This activity is intended for physicians, nurses, pharmacists and other providers involved in managing patients with focal seizures in the ICU. 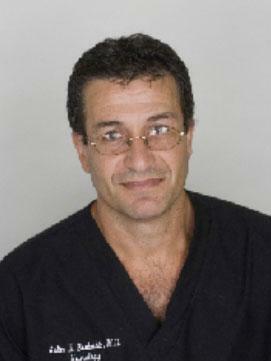 Selim R. Benbadis, MD is a Professor of Neurology at the University of South Florida and Director of the University of South Florida /Tampa General Hospital Comprehensive Epilepsy Program, in Tampa Florida. He obtained his medical degree at the University of Nice, France, where he also completed a residency in Family Medicine. Dr. Benbadis completed his Neurology Residency at the Cleveland Clinic Foundation, in Cleveland, Ohio, where he stayed an additional 2 years to complete a fellowship in Epilepsy, EEG, and Sleep Medicine. He is Board-certified in Neurology, Epilepsy & Clinical Neurophysiology, and Sleep Medicine. Dr. Benbadis' clinical and research interests are in the diagnosis and management of seizures that are difficult to control, and the misdiagnosis of epilepsy. He has authored over 100 article and book chapters. He also has a strong interest in medical writing and editing and serves on several Editorial Boards. He has a strong interest in Education, serves as Faculty on numerous courses each year, and has received several teaching awards. 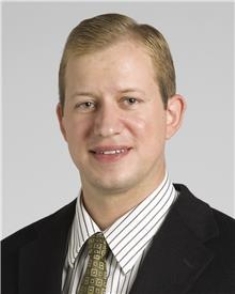 Stephen Hantus, MD is a Clinical Assistant Professor of Medicine and Director of the Continuous Electroencephalogram (EEG) monitoring and Epilepsy Consult Service at the Cleveland Clinic Epilepsy Center in Cleveland, Ohio. He received his medical degree from Medical College of Georgia where he also completed his Internal Medicine Residency. He completed a Neurology Residency and a Clinical Neurophysiology/Epilepsy Fellowship at Cleveland Clinic. His interest includes continuous EEG monitoring in the critical care setting, treatment of status epilepticus, and the surgical management of epilepsy. Physicians: Accreditation for Physicians: This activity has been planned and implemented in accordance with the accreditation requirements and policies of the Accreditation Council for Continuing Medical Education (ACCME) through the joint providership of The Society of Critical Care Medicine (SCCM) and AKH Inc., Advancing Knowledge in Healthcare. The Society of Critical Care Medicine (SCCM) is accredited by the ACCME to provide continuing medical education for physicians. Designation Statement: The Society of Critical Care Medicine designates this enduring educational activity for a maximum of .5 AMA PRA Category 1 credits™. Each physician should claim only those hours of credit that he/she actually spent in the educational activity. Physician Assistants: The American Academy of Physician Assistants accepts certificates of participation for educational activities certified for AMA PRA Category 1 Credit™ from organizations accredited by the Accreditation Council for Continuing Medical Education or a recognized state medical society. Physician assistants may receive a maximum of .5 Category 1 credits for completing this activity. Council for Pharmacy Education (ACPE) as a provider of continuing pharmaceutical education. This course (0236-9999-17-302-H01-P) provides up to .5 contact hours of continuing education. SCCM reports to a continuing pharmacy education (CPE) tracking service, CPE Monitor, using your National Association of Boards of Pharmacy (NABP) member number and date of birth. You are responsible for providing accurate information to SCCM and submitting your data within 60 days from participating in the activity. CPE Monitor will authenticate and store data for completed CPE units received by pharmacists and pharmacy technicians. CE Credit provided by AKH Inc., Advancing Knowledge in Healthcare- Activity is jointly-provided by AKH Inc., Advancing Knowledge in Healthcare and The Society of Critical Care Medicine (SCCM). This activity is awarded 0.5 Contact Hours. Speakers Bureau: Cyberonics, Inc. (Livanova), Eisai, Lundbeck, NeuroPace, Inc., Sunovion, UCB, Inc.
Dr. Hantus discloses no financial relationships with pharmaceutical or medical product manufacturers. SCCM and AKH Inc, planners and reviewers have disclosed no financial relationships with pharmaceutical or medical product manufacturers. It is the policy of SCCM and AKH Inc. to ensure independence, balance, objectivity, scientific rigor, and integrity in all of its continuing education activities. The faculty must disclose to the participants any significant relationships with commercial interests whose products or devices may be mentioned in the activity or with the commercial supporter of this continuing education activity. Identified conflicts of interest are resolved by SCCM and AKH prior to accreditation of the activity and may include any of or combination of the following: attestation to non-commercial content; notification of independent and certified CME/CE expectations; referral to National Faculty Initiative training; restriction of topic area or content; restriction to discussion of science only; amendment of content to eliminate discussion of device or technique; use of other faculty for discussion of recommendations; independent review against criteria ensuring evidence support recommendation; moderator review; and peer review. SCCM & AKH planners and reviewers have no relevant financial relationships to disclose.